LABA Building Materials and Paper Auction! You never know what you will find at an auction! This is no exception! Doors, windows, trim, wood, paper products, cleaning supplies, cabinets, flooring, tools and the list goes on. 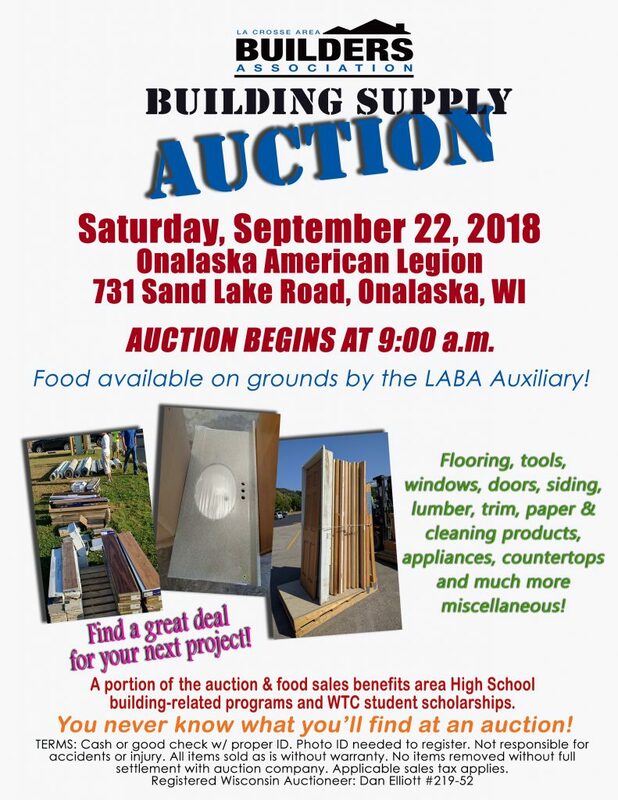 Each year LABA puts on this auction to support and raise funds for our Tools For Schools program where we sponsor tool requests from the various high school in the area to help build their trade programs. We know how budgeting goes and how the funds for schools and these programs have become increasingly harder to get and often diminished quite a bit or even taken away. We are proud that we have given away over $75,000 in tools over the last 20 years. Thank you for supporting this program, these are the young people who will be building your future homes!